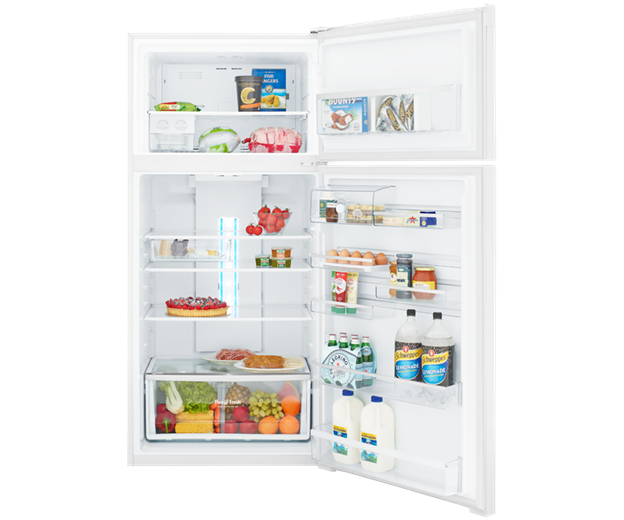 536L White Top Mount Refrigerator is rated 4.5 out of 5 by 209. 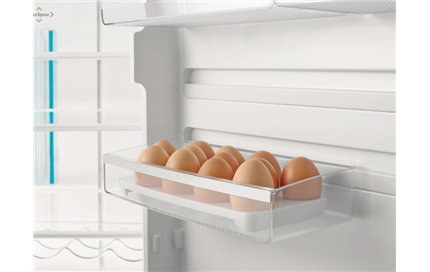 A 536L frost free top mount refrigerator with a classic white finish, FlexSpace™ interiors & SpillSafe™ glass shelving. Rated 1 out of 5 by Tuppy from Very disappointing ! I bought this fridge in a hurry as my old one had completely broken down. I had had Westinghouse before and knew they were reliable products. 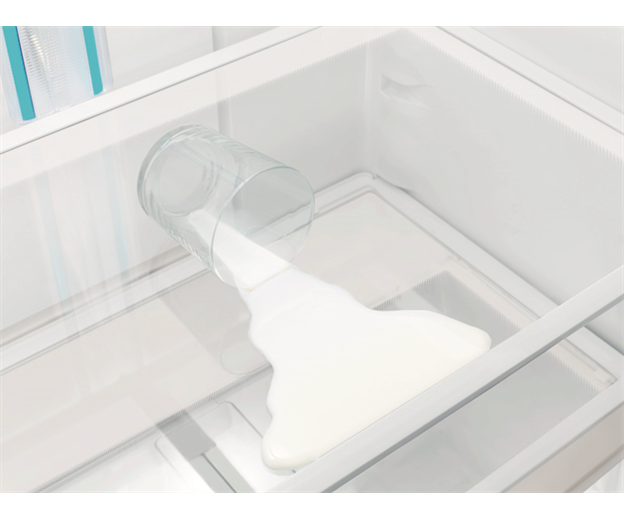 I selected this model because I had limited space for it to go into in my kitchen. I am disappointed because the crisper is far too small and too low to be easily accessible. 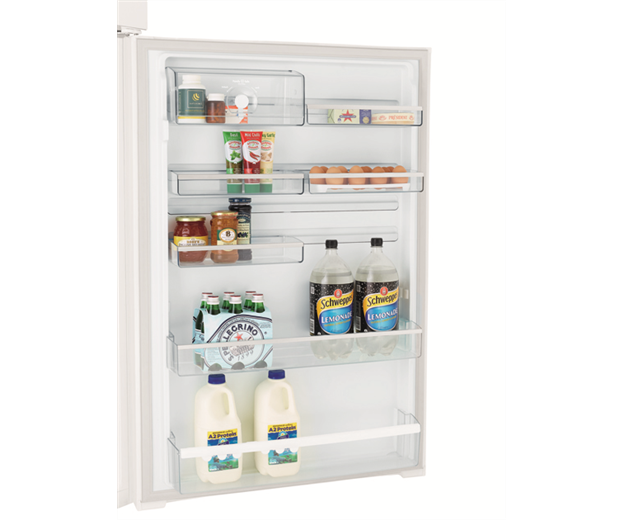 You practically have to stand on your head to see what you have on the shelves and already the top corner of the fridge door has cracked through So I am very disappointed with this purchase but cannot afford to buy another new fridge. Rated 4 out of 5 by Teddy from Second time lucky? 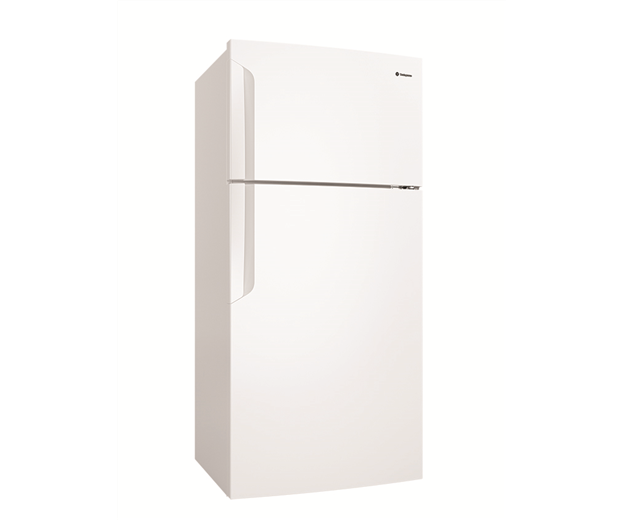 We recently purchased a 540 L Westinghouse top mount refrigerator (WTB5400WA) to replace our old Westinghouse 502 Frost Free unit. 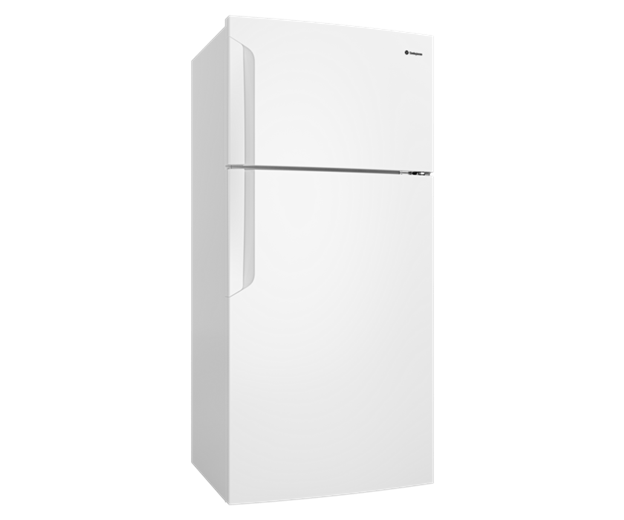 We chose Westinghouse because our prior two fridges were also Westinghouse and both had provided fairly trouble free service. 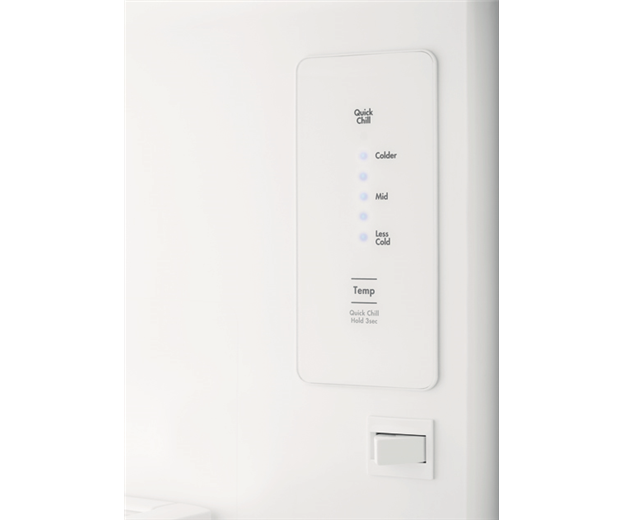 Upon switching on the new fridge, we found that the thermostat panel and interior LED lights were not working (although the fridge was chilling and freezing adequately). 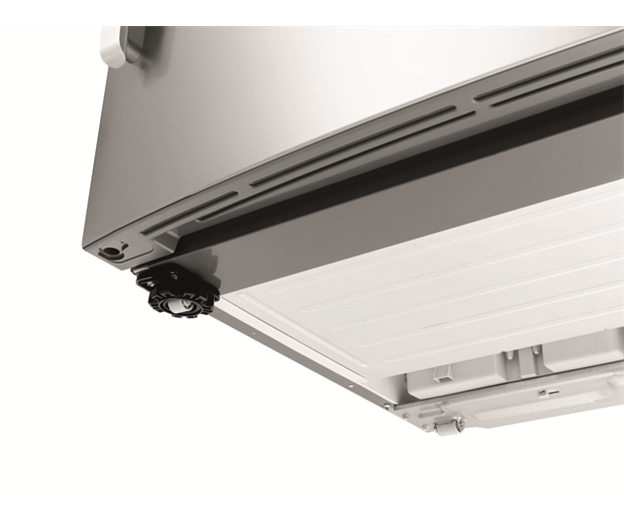 A service technician confirmed a likely wiring fault inside the unit could not be fixed on the spot, therefore requiring the fridge to be returned to the factory and replaced with another (new) fridge. A few days later, we took delivery of the new (new) fridge. The internal lights and thermostat panel were functioning upon startup. The fridge and freezer seem to be holding their temperatures. 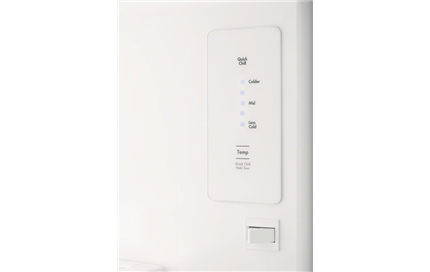 PROS: - The published energy rating (compared favourably vs other brands of fridge at similar capacity); - The internal LED lighting; - Flexible storage options on the refrigerator door (moveable FlexStor door bins); - After sales service by Electrolux was prompt. 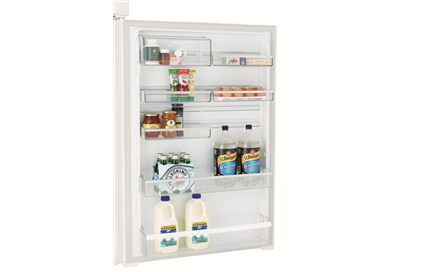 CONS: - The unit is slightly larger (overall), but the fridge capacity is somewhat reduced compared with our previous unit; - A "reduced" number of shelf spacers in the fridge "limits" the options at which the heights of each shelf can be adjusted; - The freezer door bin is more "shallow" compared with our previous unit. 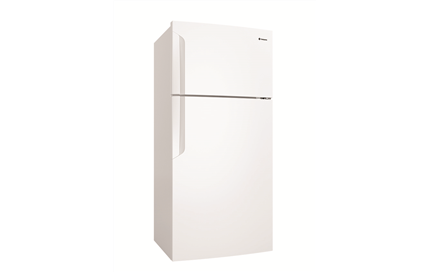 Given our most recent experience with Westinghouse fridges (and given the fact that these fridges are no longer locally made), we would still give the Westinghouse brand a go. 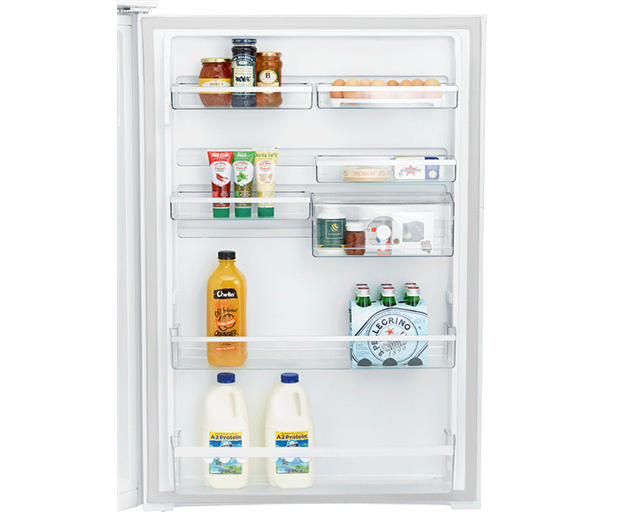 Rated 3 out of 5 by Hank from Newer is not always better Westinghouse 537 Litre Fridge WTB5400WAR Review I bought the new Westinghouse 537 Litre Fridge WTB5400WAR as a replacement for an earlier 520 litre Westinghouse fridge (WTM5200WB). 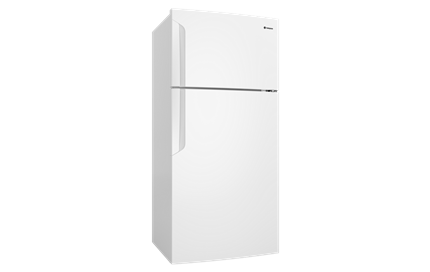 I have always bought Westinghouse fridges because they are reliable, user friendly and most importantly, Australian made. As it had only just been released, I had to rely totally on the brochure, rather than in-store inspection, for information about it. 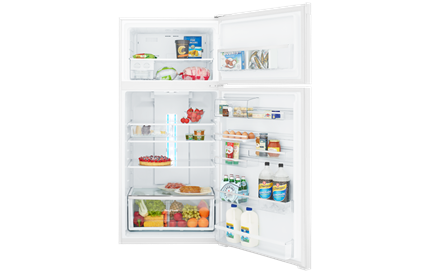 Now despite many listed improvements in the brochure, I’ve found there have been few compared with the older Westinghouse fridge it replaced. There are some less positive changes too. 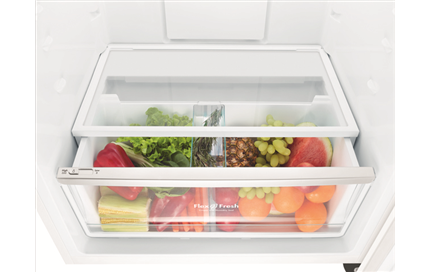 Pros: The fridge is quiet and maintains factory pre-set temperatures well. 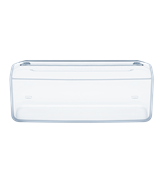 The really bright internal LED lighting, electronic control system and reduced annual operating costs are the big bonuses. Cons: The new models are imported – not Australian made. 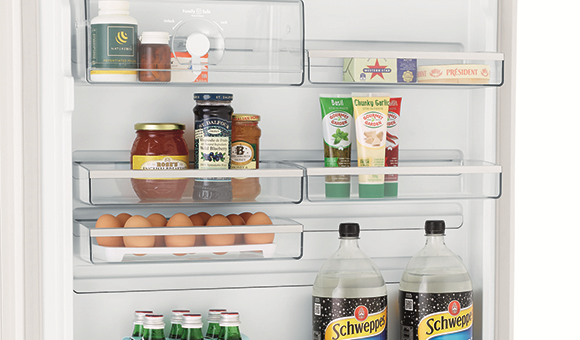 Although the WTB5400WAR is rated slightly larger overall, it was not possible to fully transfer all of the contents from my old refrigerator into it due to (a) new shelving position restrictions, and (b) by narrowing and reducing freezer door trays from two to one leaving wasted space above it. 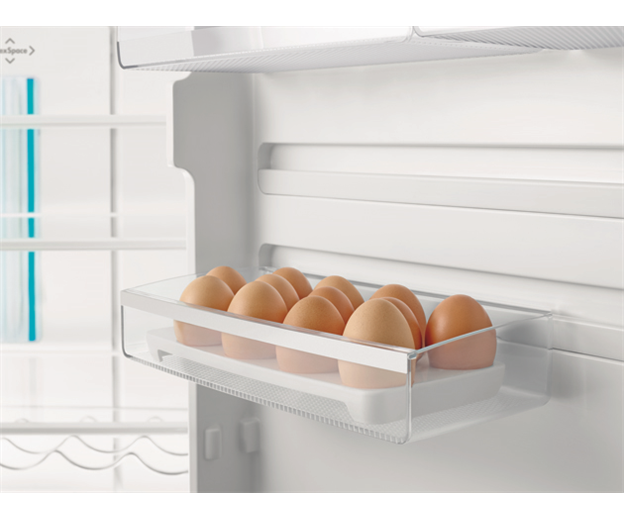 On the plus side, though, the freezer door tray is slightly deeper and can hold taller items more securely than the trays on the older model. . The main downside to the fridge is the door design. Designers did not consider people with accessibility needs. 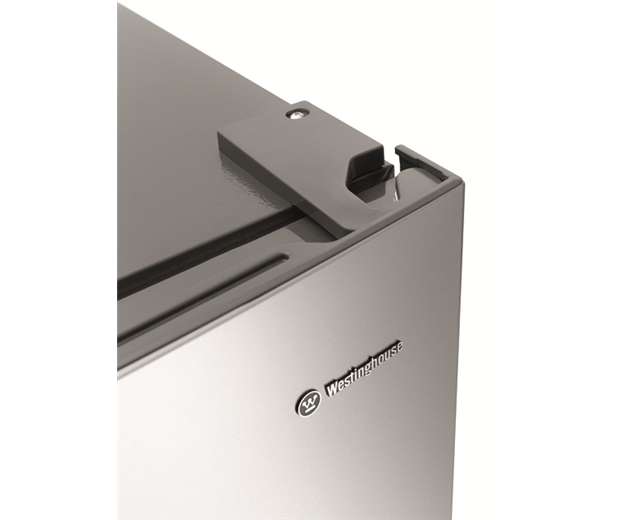 The doors to the fridge and freezer are not easy to open. A member of my household has so much trouble opening the doors that the solution has been to leave the door open between taking out an item and putting it back again. Additionally, unlike all the previous Westinghouse fridges I’ve owned, the doors don’t “self close”. 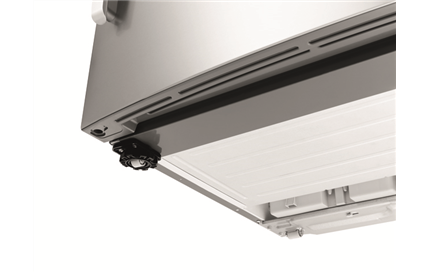 Instead, the doors of the WTB5400WAR have been designed to remain ajar by around 200mm. 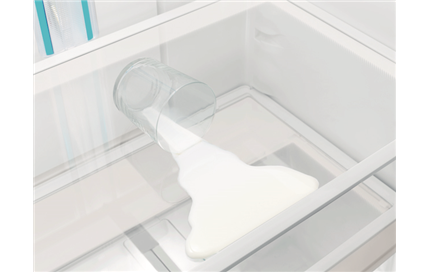 If you have been the owner of self-closing fridges in the past, you will need to consciously remember to push both the freezer and refrigerator doors fully closed or cold will be rapidly lost and the “door ajar” alarm will sound. Finally, there is a very noticeably stippled “orange peel” paint surface on the sides of the fridge. I was told this has been added so any warping in the side panels that may occur during manufacture can’t be seen easily. It’s not clear whether this is a quality assurance issue or because the metal sheeting is now made thinner and therefore more prone to buckling. 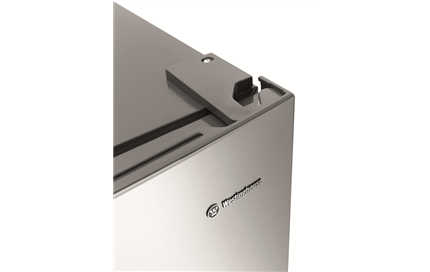 Without the side panels having a shiny, smooth outer surface, dust now has the potential to adhere more readily, promote surface rust formation, be unhygienic and and make cleaning more difficult. 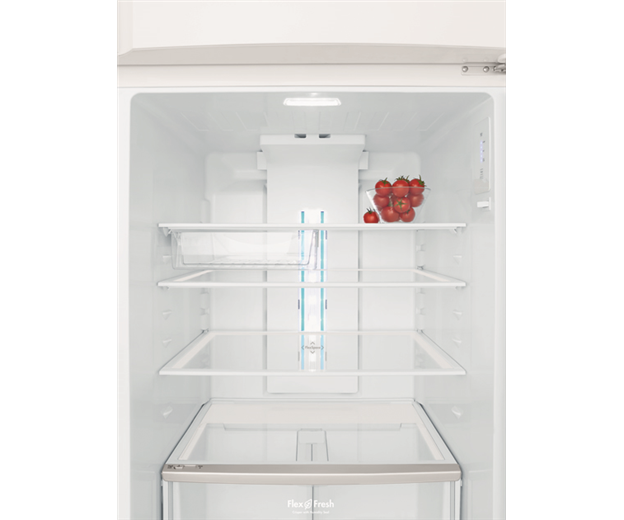 Conclusion: Disappointingly, this 2 door Westinghouse refrigerator would not be the one of choice again. Rated 2 out of 5 by Marianne from Unfortunately, I'm not happy with it. All my ice in the freezer smells. Something in the freezer is causing this. It is not food as it was like that before I filled it with food and when the freezer gets depleted of food. It is constant. It is a chemical smell/taste. The fridge part is spacious. 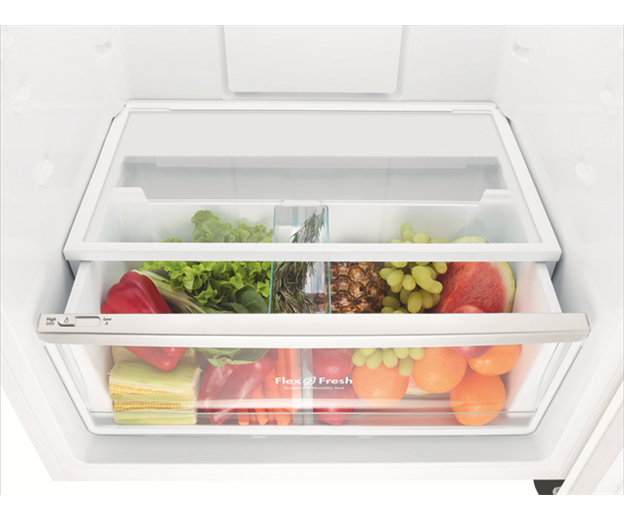 However, if you put anything heavy in the crisper, like a cabbage, it bends and the crisper doesn't fit in properly. 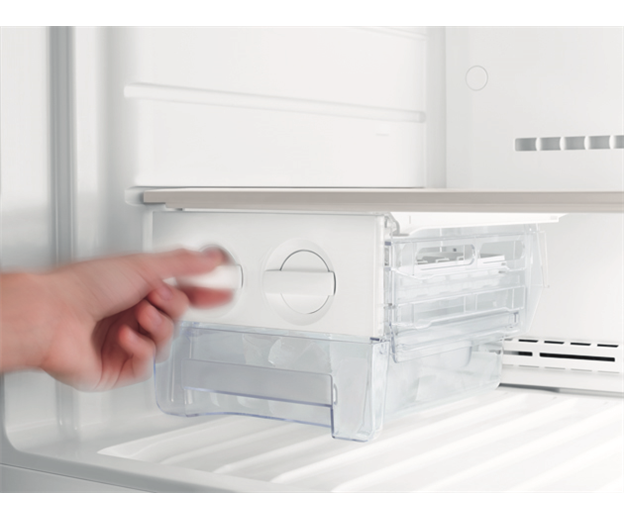 Then you have the problem of not being able to open the door wide enough to keep adjusting the crisper. I had problems with the cooling for quite some time. I had to turn it down to stop products in the fridge cooling and this doesn't seem an optimum temperature. As much as I want to win this prize of a BBQ because I don't have one, I am not going to lie about the product. I wish I had never purchased it. I'm not happy with it. Rated 5 out of 5 by Brammy from Love our new Fridge Absolutely loving our new Fridge. It's quite, the interior light is a warm light, so when you open it up in the night your eyes are not blinded. There is so much room I struggle to fill it up and the sliding door bins are a fabulous idea, space saving and convenient. But the best thing is the ice tray. I get Ice on hand 24/7 and loving it. Just have to train my husband to refill the water every time he dumps the ice lol. 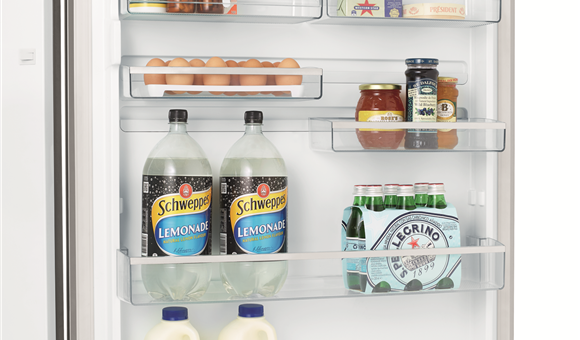 The only thing that would make this the best fridge ever would be to have a light in the freezer compartment. 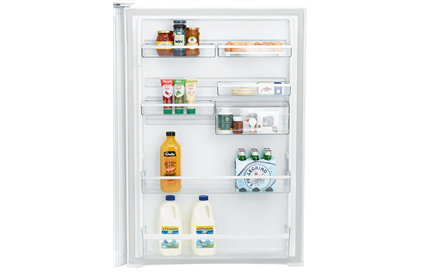 Rated 5 out of 5 by John25755 from Great Fridge Best we have owned in 40 years. 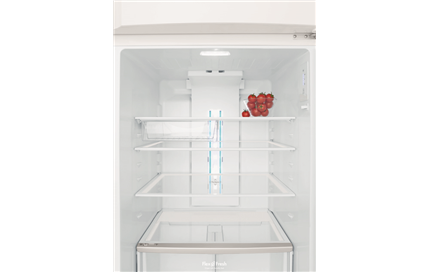 I bought the Fridge 6 months age and it has all this FlexSpace and FlexStore technology allow you to adjust the fridge's drawers and compartment configuration allowing you to accommodate large pots, loads or oversized products. 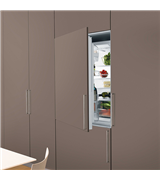 A stainless steel finish with fingerprint resistance ensures the Westinghouse top mount fridge looks great in any contemporary kitchen. 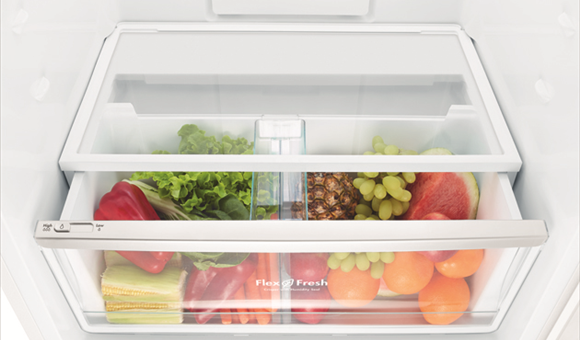 The FlexFresh crisper features a adjustable partition that lets you separate your fresh produce or maintain one large area for oversized vegetables like celery and carrots. 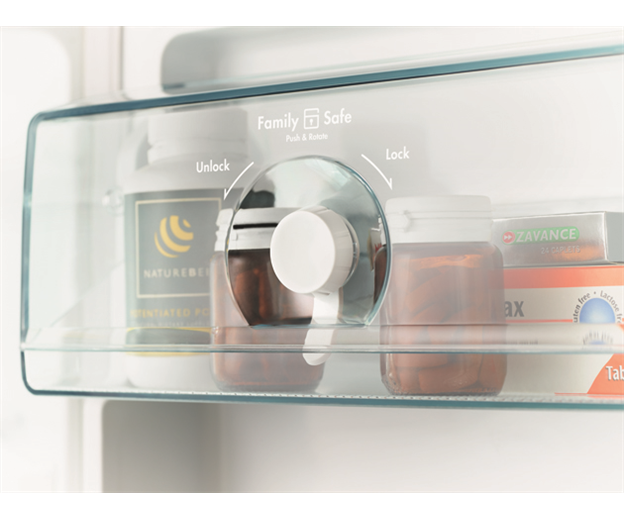 Spillsafe glass shelves minimise the impact of life’s little accidents by containing a spill of up to 1L to prevent it affecting the rest of the fridge. 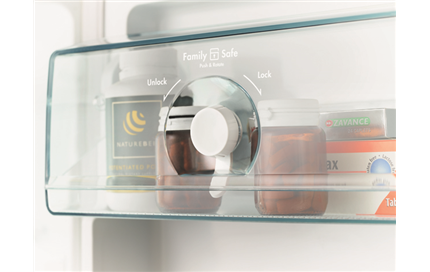 A FamilySafe lockable compartment allows you to secure away medication from little prying hands. Rated 2 out of 5 by Georgina from Disappointed I bought this fridge almost a month ago, and have already had customer care out. Not happy that the freezer door automatically springs back. After thinking I have closed it, I come back later to find it has been open for goodness knows how long. The fridge door also does this. I do not see the logic in this - if anything, it should be made to close much easier. The crisper box is ridiculously hard to pull out and push in. 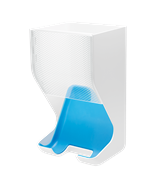 The runners have notches in them, making it impossible to glide out smoothly like it should. The last Westinghouse I had for 23 years and never had any problems. I have also had other brands and never had to complain. Overall this is the worst fridge I have ever purchased.